In a Washington Post op-ed, former New Mexico Governor and United Nations Ambassador Bill Richardson (pictured)—who in 2009 signed a bill to abolish his state's death penalty—urged that capital punishment be abolished in the United States, saying "[t]he practice is wrong and I hope it isn’t long for this world." Richardson said he supported the death penalty for decades before "empirical evidence and common sense" convinced him that the practice should end. That evidence, he writes, included that that "the death penalty is an ineffective deterrent, is unfairly applied and has become increasingly costly for states." Richardson now serves as a commissioner on the International Commission Against the Death Penalty, advocating the worldwide abolition of capital punishment. He explains how the use of the death penalty, especially lethal injection, hurts state business interests by putting them at odds with the views of pharmaceutical companies. Using Arkansas' April 2017 flurry of executions as an example, he writes, "In their effort to push through these executions, state officials needlessly hastened the application of an unjust policy while senselessly placing Arkansas at odds with the private sector." McKesson, a pharmaceutical distributor, sued the state of Arkansas for using "false pretense, trickery, and bad faith" to obtain execution drugs. He also points to a recent vote by the Delaware House of Representatives to reinstate the death penalty, saying, "As a state that has worked successfully for decades to build an international brand as America’s leading incorporation venue, a major source of its revenue, Delaware could lose if the globally disfavored death penalty once again becomes law." Richardson also ties his international experience to the issue, writing, "States that continue to employ the death penalty will remain isolated from the growing international consensus." "To effectively represent the interests of citizens, and protect our nation’s role as a global leader," he concludes, "a new generation of policymakers and politicians must put the death penalty to rest once and for all." On February 3, Australia marked 50 years since its last execution. That execution—the hanging of Ronald Joseph Ryan on February 3, 1967 for the murder of a prison guard during an escape attempt—came at a time in which support for capital punishment in the country was already waning. The state of Victoria, where Ryan was executed, had not had an execution since 1951. Though certain crimes carried a mandatory death sentence, the state government cabinet had commuted 34 of the other 35 death sentences imposed in the intervening 16 years. The Australian High Court had overturned the one other death sentence. A man who served on Ryan's jury said none of the jurors believed he would actually be executed, and seven of them wrote to the cabinet in favor of clemency. The Melbourne Herald, a conservative-leaning newspaper, editorialized against the execution in January 1967, saying, "The state government's insistence on this final solution is causing the deepest revulsion. It is punishment in its most barbarous form. And experience has shown it gains nothing but dishonour for the community which inflicts it." Eight years later, Victoria abolished the death penalty, and every Australian state repealed it by 1985. Since that time, Australians have grown more opposed to the death penalty. According to the BBC, the most recent national poll, conducted in August 2009, found 23% of Australians support the death penalty and 64% oppose it. In 2010, the national government, in keeping with an international treaty, passed laws banning the reintroduction of capital punishment. 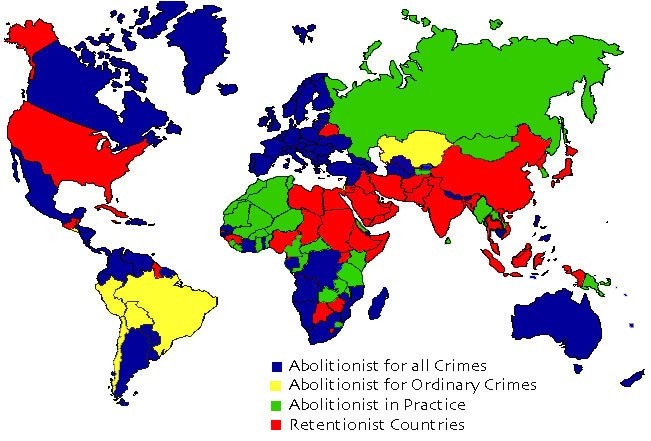 The Australian giovenment has been active in calling for the global abolition of capital punishment. In an interview with the Australian Broadcasting Company at the time of the 6th World Congress Against the Death Penalty in Oslo, Norway in June 2016, Australia's Special Envoy for Human Rights, Philip Ruddock, described his efforts to persuade U.S. and Chinese officials to move away from capital punishment. "I believe when your friends suggest that maybe there's time for a change, you do start to think a bit more seriously about it," he said. "I think many Americans are embarrassed that they continue to have some states that maintain capital punishment." Despite a sharp drop in executions, the United States ranked sixth among the world's executioners in 2016 behind only China, Iran, Saudi Arabia, Iraq, and Pakistan, according to a report by the British-based international human rights group, Reprieve. Maya Foa, a director of Reprieve, said "[i]t is alarming that countries with close links to the UK and [European Union] continue to occupy the ranks of the world's most prolific executioners in 2016." Questions of innocence, execution of juvenile offenders, and use of the death penalty for non-lethal drug offenses were among the top worldwide problems in the administration of the death penalty cited by Reprieve in the report. "[W]e have found children on death row, innocent people hanged, drugs offences dealt with as capital crimes, and torture used to extract false confessions," Foa said. "Countries that oppose executions must do more in 2017 to ensure that their overseas security assistance does not contribute to others states use of the death penalty.” Reprieve's analysis of global executions in 2016 found that China continues to carry out the most executions of any country, though the exact number is a state secret. Nearly half of the more than 500 prisoners executed in Iran were killed for committing drug offenses. In Saudi Arabia, those executed included juvenile offenders and political protestors. The ongoing armed conflict in Iraq made information on the country's executions difficult to obtain. Pakistan lifted a moratorium on executions in 2014, ostensibly in response to terrorism. But Reprieve found that 94% of those executed had nothing to do with terrorism. The Pakistan Supreme Court found in 2016 that two men who had been hanged were innocent. The Reprieve report also raised concerns about Egypt's high rate of death sentencing -- more than 1,800 people have been sentenced to death in that country in the last three years. The United Nations General Assembly voted overwhelmingly on December 20 to adopt a resolution co-sponsored by 89 countries urging a worldwide moratorium on the death penalty. 117 nations voted in support of the world body's sixth resolution on the subject, equaling the record number of countries who supported a UN moratorium resolution in 2014. 40 member nations, including the United States, voted against the measure, while 31 abstained. The resolution also called upon all countries to respect international standards providing for procedural safeguards for those facing the death penalty, to comply with their obligations on consular relations, to progressively restrict their use of capital punishment, and to make available data on how and against whom they apply the death penalty. This year's vote reflected some countries' recent changes on the issue, as Guinea and Nauru, which have recently abolished the death penalty in law, joined those voting in favor. Two countries that are abolitionist in practice, but not in law, Malawi and Swaziland, also voted in favor of the resolution for the first time. Despite its status as a retentionist country, the United States has seen a decline in the use of the death penalty, with death sentences and executions both reaching historic lows this year. Kenya has commuted the death sentences of all 2,747 prisoners on the nation's death row. On October 24, President Uhuru Kenyatta signed orders sparing the lives of 2,655 men and 92 women who had been sentenced to death, commuting their sentences to terms of life in prison. While Kenya still authorizes the death penalty, it has not carried out an execution in nearly 30 years. In August 2009, former President Mwai Kibaki commuted the death sentences of the more than 4,000 prisoners who were then on Kenya's death row. One year later, Kenya's Court of Appeal ruled that the country's mandatory death penalty law was unconstitutional, overturning hundreds of death sentences. Muthoni Wanyeki, a regional director of Amnesty International, praised President Kenyatta's action, saying: “The decision to commute death sentences brings Kenya closer to the growing community of nations that have abolished this cruel and inhuman form of punishment. It must now be abolished for posterity.” Nearly two-thirds of the world's countries have abolished capital punishment in law or practice. Among those countries that retain it, the 28 executions carried out in the United States in 2015 placed it fifth in the world behind only China (with more than 1,000 executions), Iran (977), Pakistan (326), and Saudi Arabia (158). 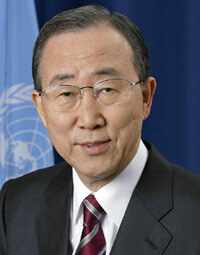 In an October 10 statement commemorating World Day Against the Death Penalty, United Nations Secretary-General Ban Ki-Moon (pictured) urged the global abolition of capital punishment and called the death penalty ineffective and counterproductive as an anti-terrorism tool. Saying that capital punishment not only "has no place in the 21st century," Secretary-General Ban also noted that executions of terror suspects have been counterproductive: "Experience has shown that putting terrorists to death serves as propaganda for their movements by creating perceived martyrs and making their macabre recruiting campaigns more effective." Ban said that, "[t]o be legitimate and effective, counter-terror measures, like all security operations, must be anchored in respect for human rights and the rule of law." In particular, he critiqued vague anti-terrorism laws that states have used as a pretext to target political dissidents: "Let us be clear: participation in peaceful protests and criticism of a government–whether in private, on the Internet, or in the media–are neither crimes nor terrorist acts. The threat or use of the death penalty in such cases is an egregious violation of human rights." At a conference in Geneva held in conjunction with the World Day Against the Death Penalty, UN human rights experts decried the swift and unfair trials and death verdicts often handed down in terrorism cases and emphasized the heightened need for rigorous legal safeguards in terrorism cases. "Executions carried out without adherence to the strictest guarantees of fair trial and due processes are unlawful and tantamount to an arbitrary execution,” three UN Special Rapporteurs said. “We have called on those governments once and again to halt such executions and to retrial the defendants in compliance with international standards."